​﻿﻿Feast on good food, drink to good times and celebrate with good friends in our casual, vibrant restaurant and lounge, featuring flavours from countries that share a coastline on the Mediterranean Sea. 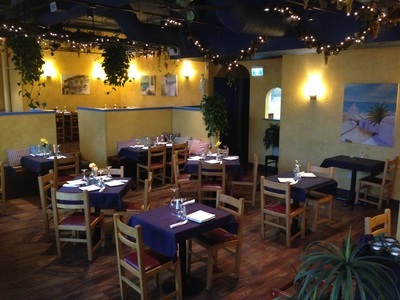 With a well-priced menu, made-from-scratch recipes, seasonal specials, delicious drinks and great staff in a charming atmosphere, North Vancouver's own Kypriaki Mediterranean Grill is modern Mediterranean at its best. And our funky, casual Ouzo Lounge with bar and large projection televisions is the perfect place to grab a draught beer, fab cocktail and some awesome appetizers while catching the game or hanging out with friends. 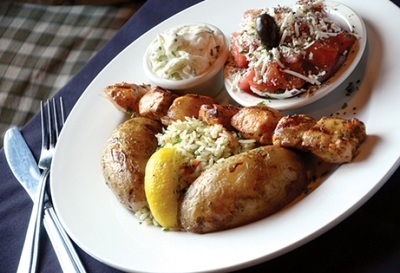 Voted as one of the “Best Five Greek Restaurants” in the Lower Mainland by The Pr﻿ovince newspaper, Kypriaki’s menu features fresh ingredients cooked to exceptional standards. ​Try authentic Greek favourites and other delicious menu items inspired by the healthy Mediterranean diet. Our grilled-to-perfection souvlaki and melt-in-your-mouth roast lamb are signature dishes that will keep you coming back again and again. We also have many gluten-free and vegetarian menu items, plus our chefs have recently perfected new menu items from the Mediterranean region including traditional Italian lasagne and Spanish paella. ​And don't miss our Happy Hour, Daily Drink Specials and Cocktail Menu! Check out our new flyer: David's Deals — lighter on the plate, lighter on the wallet! and delicious food at Kypriaki. It's the perfect choice fo﻿r a roma﻿ntic evening, family dinner or quick lunch. And, with our delivery and takeout, it's a healthy choice for any night you just don't feel like cooking." We have a separate lounge and bar perfect for socializing on any night of the week? 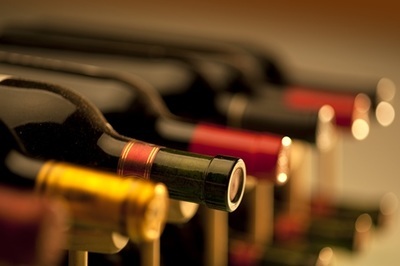 With delicious cocktails, wines, spirits, our full menu and a welcoming atmosphere, it's your next go-to place! 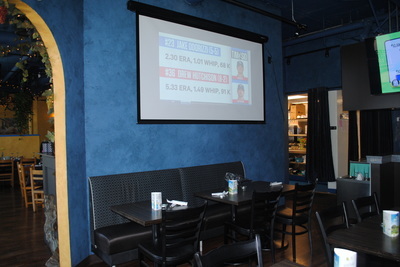 Big screen TVs make our Ouzo Lounge a must for sports fans, too! 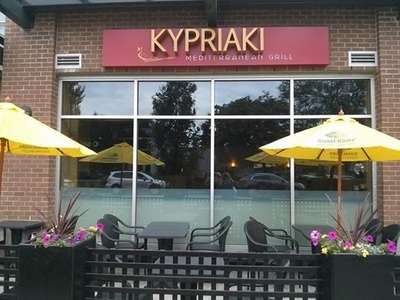 Kypriaki Mediterranean Grill is named after the Mediterranean island of Cyprus (Kypriaki), the legendary birthplace of Aphrodite. 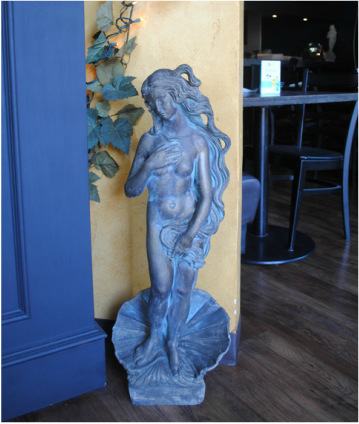 ​That’s why a statue of the goddess greets you as you enter the new location of the restaurant on Marine Drive in North Vancouver. 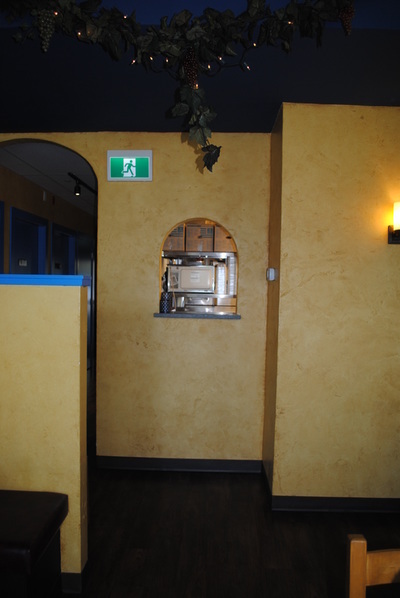 Open for lunch and dinner: 11 a.m. to 10 p.m. (Sunday-Thursday); 11 a.m. to 11 p.m. (Friday-Saturday). Try Kypriaki’s delivery, hot and fresh to your door.